Any questions for Andrea Bocelli? 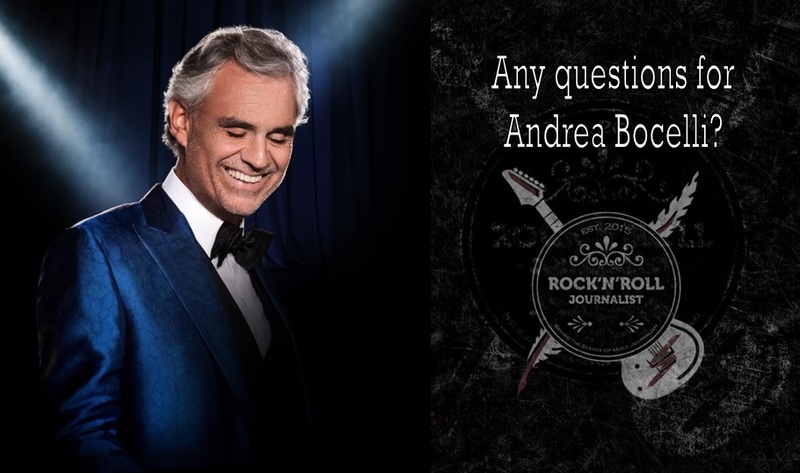 Dear fans of Andrea Bocelli, in a few days I will be conducting an email interview with Andrea Bocelli and I would like to give you an opportunity to ask him some questions. Please comment under the article, latest by the end of February. It will be a follow up to an interview, we have conducted in 2013 for Czech magazine Harmonie, as a part of the promotion of Passione album and amazing live footage Love In Portofino, which was broadcasted in selected cinemas for Valentine’s day in 2013. This time, I would like to discuss latest release Cinema, touring and many more. But I am more than open to your questions. Thank you. I will give this opportunity as well to my guest, early next week, at music presentation sessions for blind and visually handicapped. 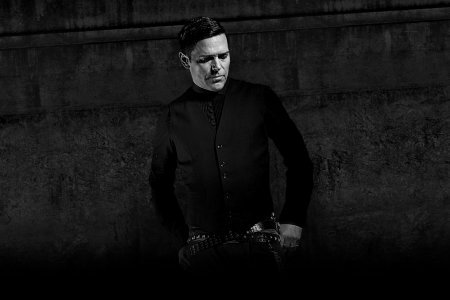 Any questions for Richard Kruspe of Rammstein? 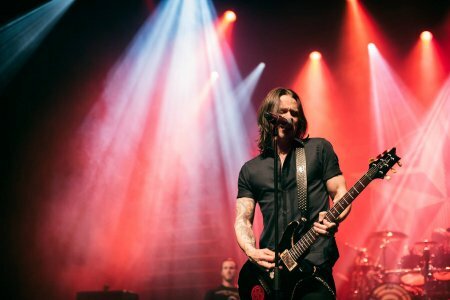 Any last minute questions for Myles Kennedy? 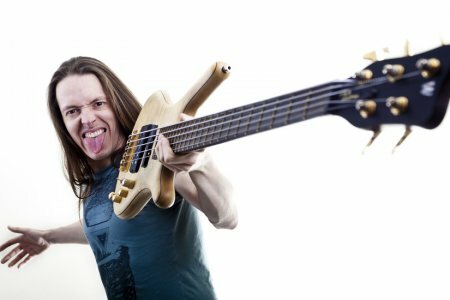 Any questions on Daniel Gildenlöw (Pain Of Salvation)? Any questions on Amos Williams (Tesseract)? 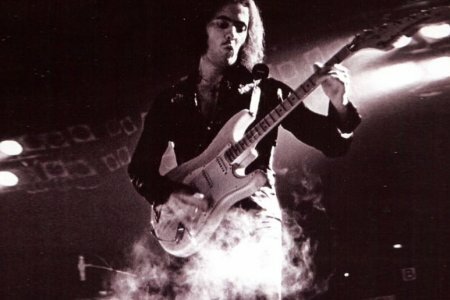 Any questions on Ritchie Blackmore? Will your sons follow you into the world of music or do they have other plans for their careers? Amos perhaps has his sights set on the field of science? Como você define a felicidade. Andrea is really well known in the U.S.A., and I have noted that he was in Toronto, On.recently, but hasn’t performed in any live concerts for years, and I wonder why? How did your wife influence your music? Do you often dedicate songs to her? Andrea, I don’t know what to ask you, but I would like to say that I love you very much and my biggest dream is to hug you. As a performer in theater, while in production, it is all consuming. I can not think about anything else and my script is never far from my hand. My lines run through my head constantly, even to the point of not being able to sleep. During your downtime, your family time, when you are asleep, how do you clear your mind to be able to enjoy the moment you are in? I know your music never leaves you, but how do you control it from distracting you from all the other things in your life, such as riding your beautiful horses, playing with your precious daughter, enjoying a quiet evening with your gorgeous wife? I’m curious about your technique for dealing with this, because I would like to try some of them. Sometimes we need a break from constantly rehearsing in our heads, and, I just can not seem to put it on pause! Thank you for your thoughts and for your time, Mr. Bocelli. I was blessed to see your performance earlier this month in Charlotte, N.C. Being able to attend was a dream come true for me. Thank you, stay in good health, I love you and all that you do. Hi, please include a link and I will include it in the email. Just 2-3 sentences introduction please. Dear Maestro, I do not know if I will be able to hear you in Poland in my city for a year in Gdańsk and is there another chance to meet you somewhere and hear for a person who will not have the opportunity to enter the arena to dream in your voice? First of all thanks to Daniel to give us the opportunity to ask questions. Dear Andrea, before I ask my questions I like to thank you for all that are giving me/ us with your wonderful music/voice/ personality! I love you with all my heart! 1) Andrea, is it hard for you to memorize the lyrics from your songs, especially if they are in a different language? Following question to that, how do you memorize all the lyrics? 2) I read in an article that you are working on some new stuff. Is this true? 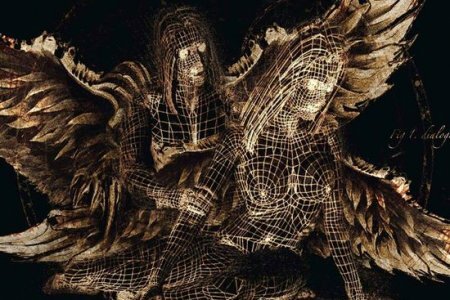 If it’s true, when can we expect to hear something? 3) I guess you get a lot of fanletters. Do you have the time to “read”/ answer the letters yourself? 4) Do you see some things differently now than in the past? Is there anything you would do differently now? 5) Is there anything you would like to achieve/ do in your life? Or are you content with the things you already achieved/ done? 6) When you write songs, what is your inspiration? 7) Have you ever ask yourself how long you would like to do this, for example, go on tour around the world? 8) How is it, when you are on tour for example, to meet so many different people, to sing with so many different singers? I am an Italian girl and I wanted to tell you that you represent Italian pride, the emblem of classical music and Italian pop in the world. I am proud to be a daughter of your own region, the wonderful Tuscany (Italy), and of your own country. Before writing my questions, I wanted to thank you because you came into my life by chance and every day you make me thrill with your music. Even though I’m a girl I’d love to meet you. 1) Recently in an article I read that you are preparing something new, something that no one has ever heard before. Is it a new album? When will we hear something new? 2) Who or what is your source of inspiration for those wonderful songs that we are used to listening to? Interview will come out as a double page in Czech magazine Rock&All. I will post it here in full version, online late April. However, I can send you few answers on your questions, which were used, much earlier. Hello, my name is Ashley, I am 24 years old and I am from the Dominican Republic, I was recently at your concert in Punta Cana, that concert seemed wonderful, you are my favorite singer, I love all your songs and your melodious voice, I could also observe how you enjoyed the beach with your beautiful family. My question is, what is Andrea Bocelli’s relationship with the Dominican Republic? I’d like to know if Andrea will perform in England at any time?